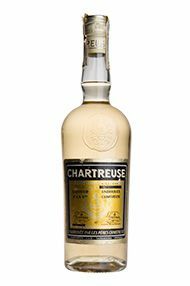 Chartreuse is a truly unique herbal liqueur, produced by French Carthusian monks using a recipe that is over 400 years old and includes 130 plants and herbs. The story behind the first recipe of Chartreuse is a fascinating one. In 1605 the monastery received a gift - a manuscript containing the recipe for the ‘Elixir of Long Life’. It is thought that the manuscript of this medicinal tonic was written by a highly skilled 16th century alchemist whose knowledge of herbs was incredibly extensive. Unfortunately, the recipe was immensely complex and the monks could only understood parts of it. It wasn't until 1737 (after 130 years of study) that the first formula for the preparation of the elixir was drawn up, and the monks began preparing and selling the medicine (elixir vegetal) to the locals. The monks noticed that people enjoyed the elixir so much that they often used it as a beverage, so in 1764 they adapted the recipe to make it milder – what we now know as Green Chartreuse. Since then they have also created Yellow Chartreuse which is a sweeter version. 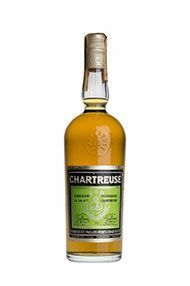 Chartreuse is still made by the monks today and the exact method of making the product remains shrouded in mystery. 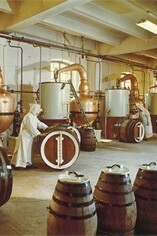 However, we do know that the process is much the same as it has been for 250 years; the necessary 130 herbs are delivered to the distillery in Voiron where only the two monks and the two laymen helping them may enter, the herbs are macerated in alcohol and then distilled before being slowly aged in oak casks. Many imitations of Chartreuse have appeared over the years but none even comes close in terms of taste to the true version. The liqueur has a sweet, herbaceous and medicinal flavour with an anise note and the 130 herbs truly give it a full bounty of flavours. To truly bring out the full impact of the flavour it should be served very cold or on the rocks, although it is also enjoyed as a long drink, and as an ingredient for high-class dining recipes. Chartreuse celebrates cult popularity across the world, and is famously known as the only liqueur that was so good a colour was named after it. A mellow, sweet liqueur flavoured with myrtle and orange and created by Carthusian monks. The only green liqueur with completely natural colourants. One hundred and thirty plants are blended and distilled to add flavour to this powerful drink.